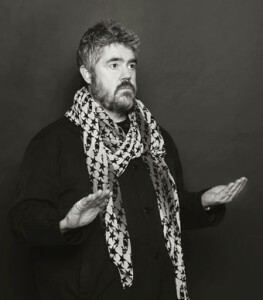 TOP comic Phill Jupitus, chart-topping singers Rock Choir, and legendary musicians Ronnie Scott’s All Stars Quintet are all heading for Woking’s Rhoda McGaw Theatre in November. A week-long programme has been put together to celebrate 40 years of the theatre. The week begins with Cscape presenting TASTE on Tuesday (November 3); a dance production inspired by the tapestries of Grayson Perry. Combining the talents of choreographers Sally Knight (Cscape, Kneehigh) and Neil Paris (Fabulous Beast) and writing from Murray Lachlan Young (BBC Radio 2 and 4) TASTE explores what defines our identity and ponders the intricacies behind our choices. Wednesday (November 4) brings Ronnie Scott’s All Stars Quintet direct from London’s world-famous jazz club. As well as live jazz, the show will feature narration and rare archive photo and video footage charting the club’s rise from a basement club to become the internationally acclaimed jazz venue it is today. Rock Choir is the UK’s largest and most popular contemporary choir, with more than 18,000 members in over 300 local communities nationwide, including Surrey. Having released two top 20 albums and performed at huge venues, such as London’s O2 Arenas and the Royal Albert Hall, fans can enjoy the wonderful harmonies in the Rhoda McGaw’s more intimate setting on Thursday (November 5). There’s comedy on Friday, November 6, as TV funnyman Phill Jupitus – best known as a team captain on BBC2’s pop quiz Never Mind The Buzzcocks – presents his show Juplicity. Comedy Club 4 Kids brings the week to a close on Saturday, November 7, with a show featuring top stand-ups and sketch acts doing their thing for an audience of children (aged six and up) and their families – without the rude bits!